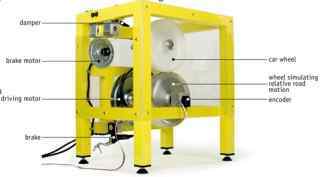 The Magnetic Levitation System (MLS) is a nonlinear, open-loop, unstable time varying frictionless dynamical system. 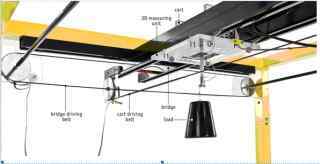 The basic principle of MLS operation is to apply the voltage to an electromagnet to keep a ferromagnetic sphere levitated. Moreover, the sphere can follow a desired position value varying in time. 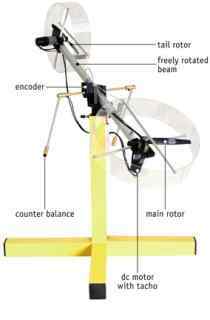 The coil current is measured to explore identification and multi loop or nonlinear control strategies. To levitate the sphere a real-time controller is required. The equilibrium stage of two forces (the gravitational and electromagnetic) is maintained by the controller to keep the sphere in a desired distance from the magnet. The system is fully integrated with MATLAB/Simulink and operates in the real-time in MS Windows. 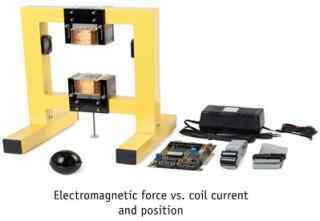 In the case of two electromagnets the lower one can be used for external excitation or as a contraction unit. This feature extends the MLS application and is useful in robust controllers design. 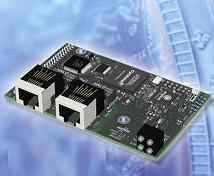 The PC equipped with the RT-DAC/PCI I/O board communicates with the power interface. The user can create his own controller in a fast and easy way. Another MLS variant is shown on the left. Instead of the infrared position sensoring the magnetic flux is measured. Question About the Products If you have Anyquestion about the products,Please write here!